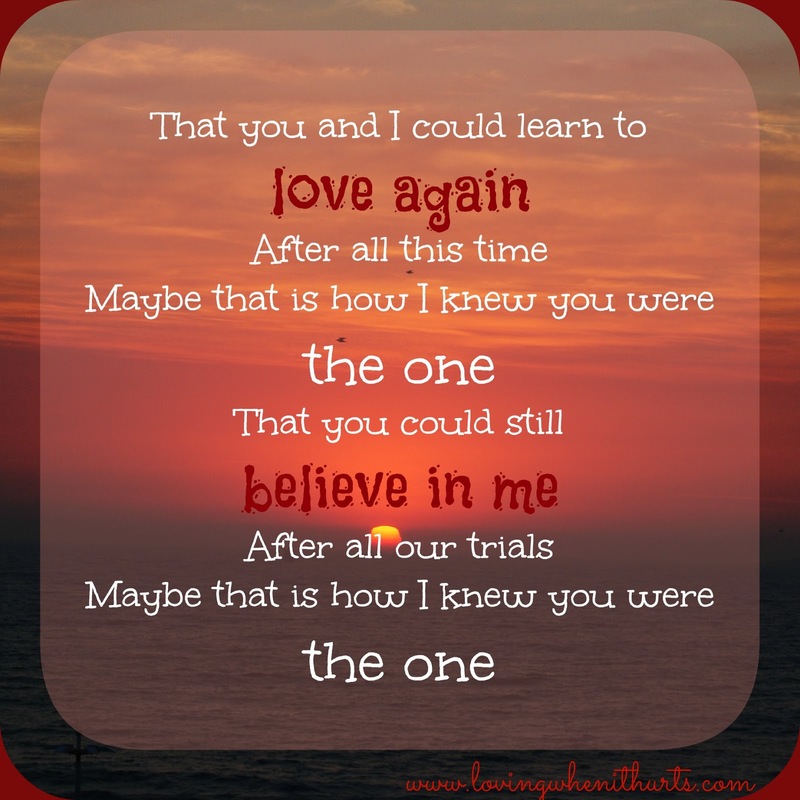 Loving When It Hurts: Can you learn to love again? I think, for some, the answer to this question is no. Some things are too hard. Some betrayals you cannot heal from. At least, that is the common thought these days. But me? I think you can learn to love again. I think that you can come back from the dead, in a sense. You can revive something that is old, worn out, and used up. Is learning a new language easy? Is learning to become a chef easy? There are very real hurdles you may have to overcome in order to love again. But it IS possible. I heard this song a couple of weeks ago and was blown away by it. It seemed to really capture this journey that Kris and I have been on, as God has been restoring our marriage. Psalm 71:10 - "Though you have made me see troubles, many and bitter, you will restore my life again; from the depths of the earth you will again bring me up." 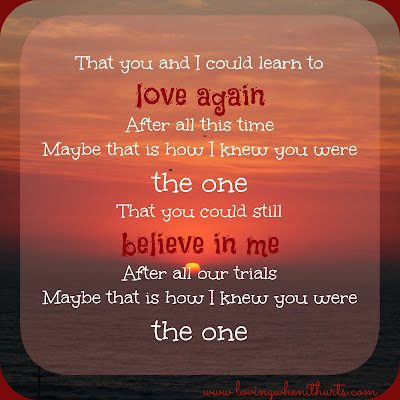 Do you think you can learn to love again?